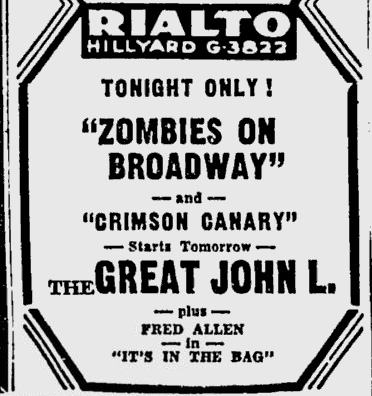 The Rialto, which has housed its fair share of the “living dead,” has added to its cinema roster with “Zombies on Broadway,” a farcical departure on a very old theme. 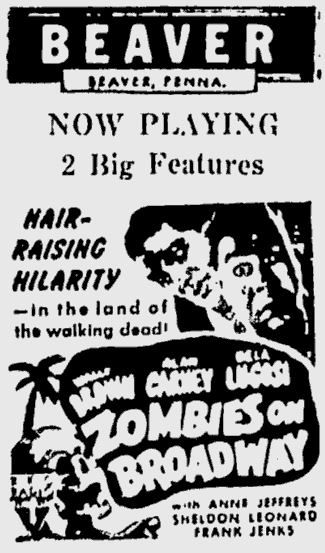 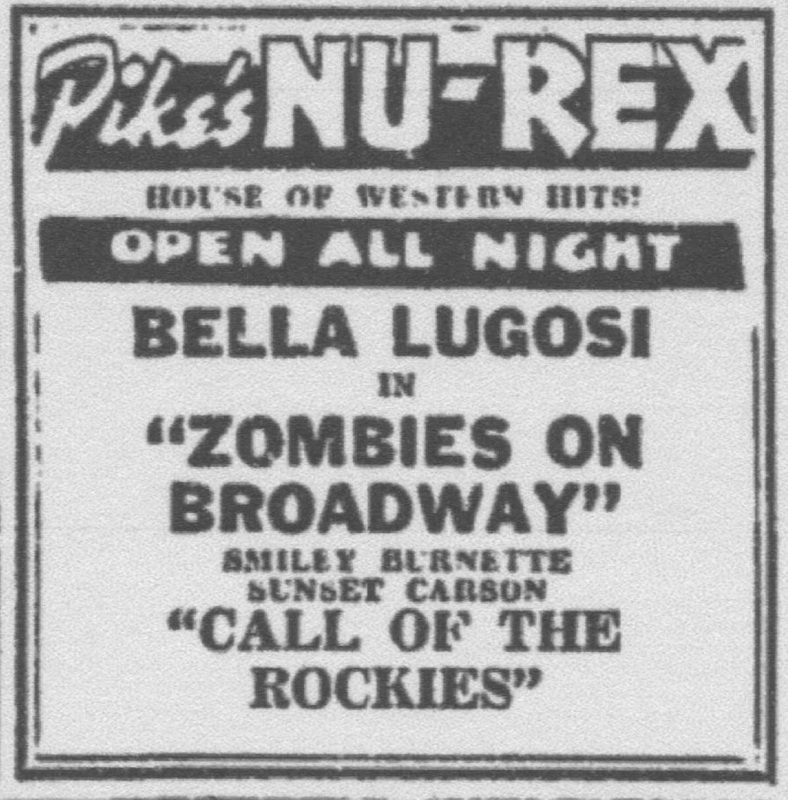 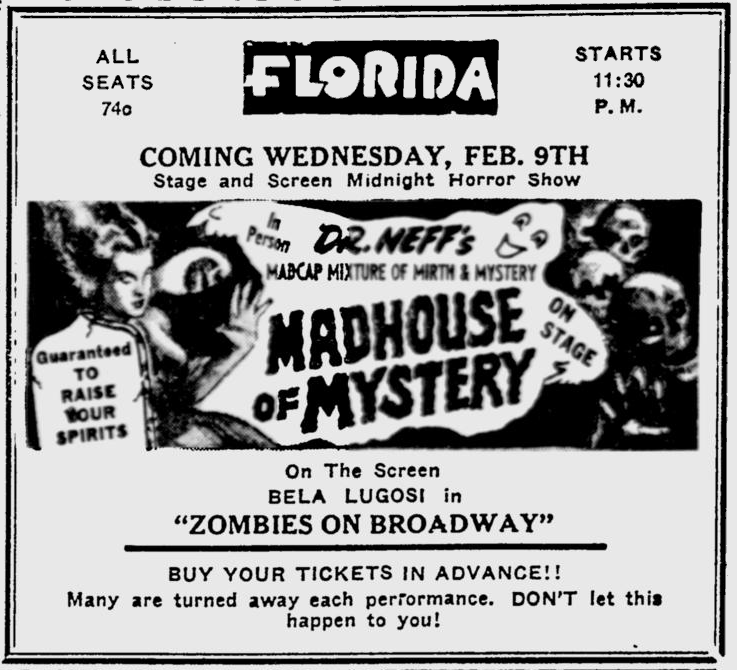 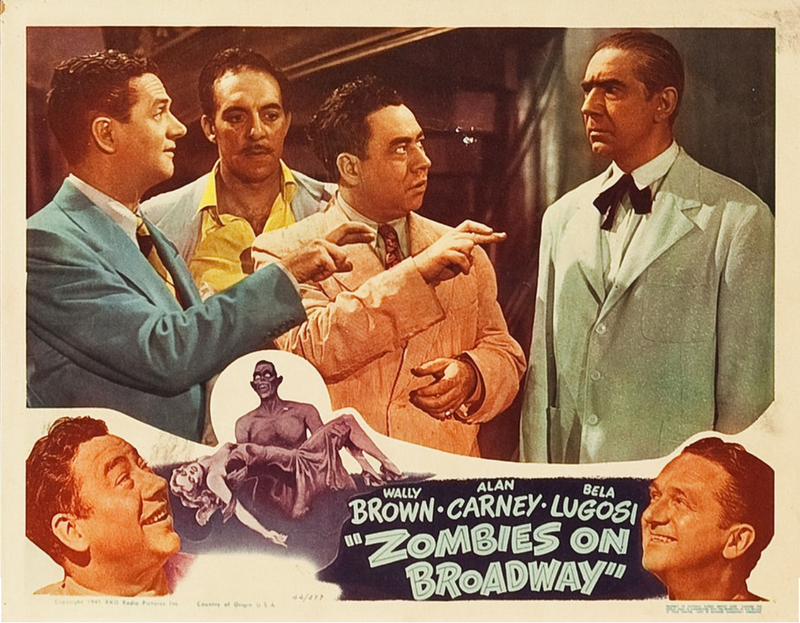 Despite all the mystic charades and scientific claptrap, this minor comedy item about a couple of press agents who are forced to produce a real zombie for the opening of a night club called “The Zombie Hut,” comes up with very few laughs. 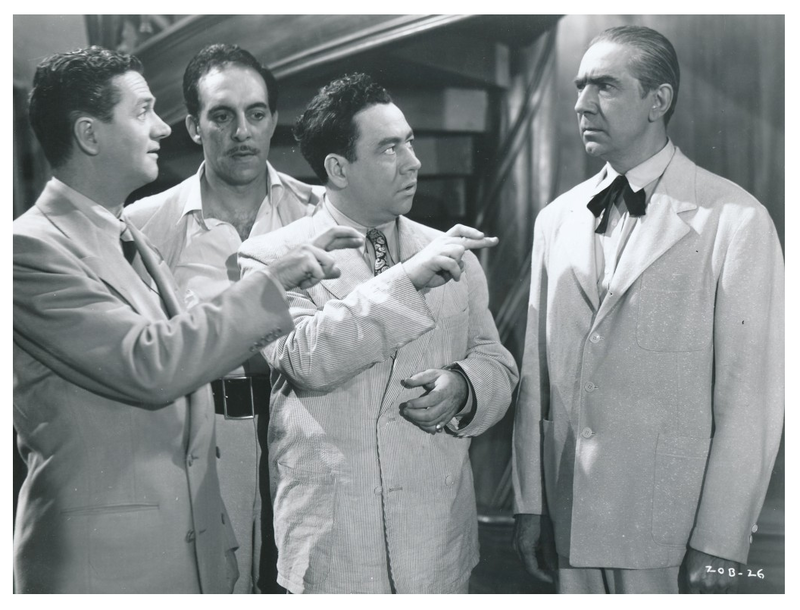 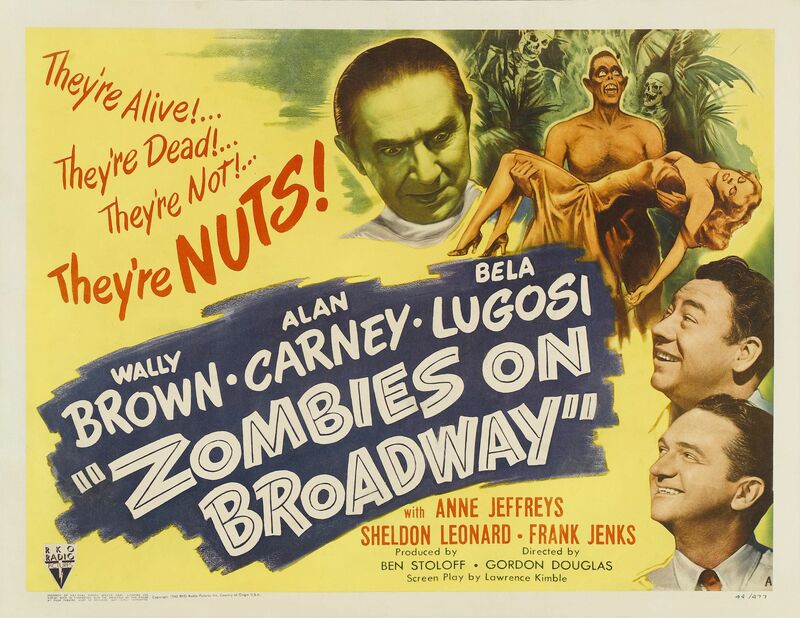 Bela Lugosi, glaring as evilly as any of the zombies he creates, is the scientific genius behind all the goings on, while Alan Carney and Wally Brown are the frenzied main stem drum-beaters in search of an ambulant corpse. 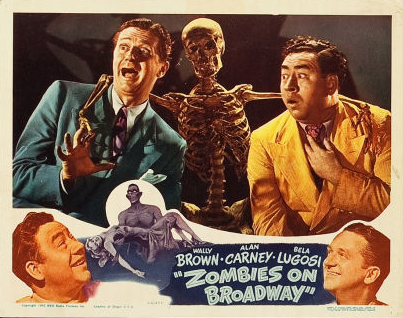 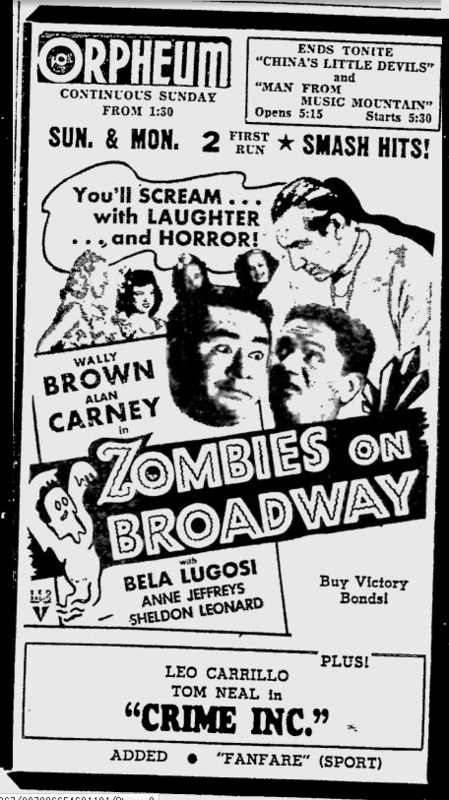 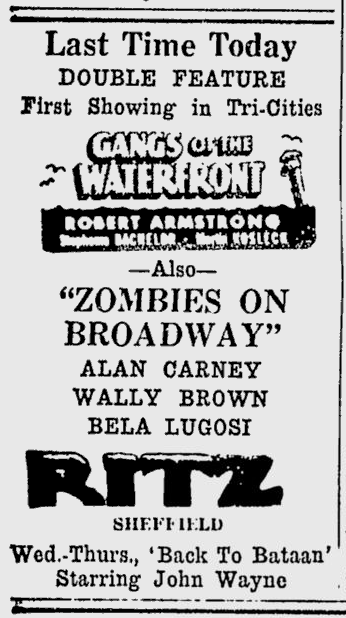 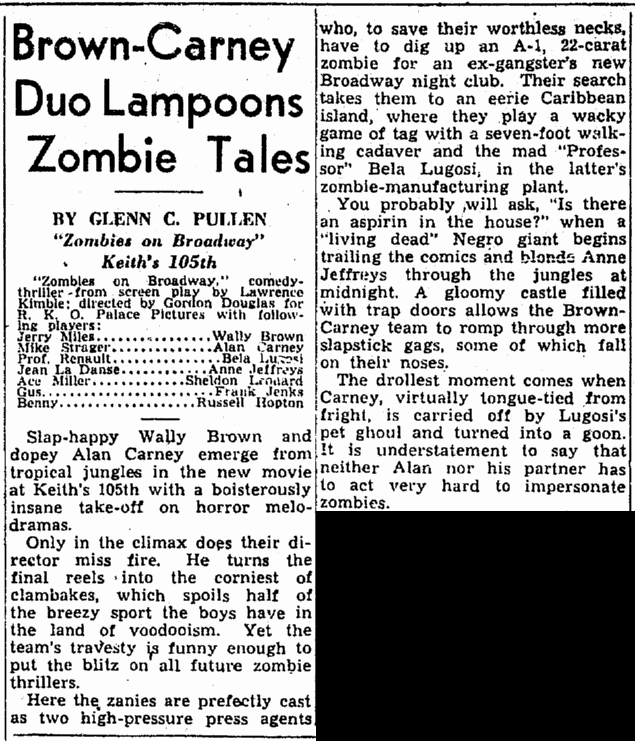 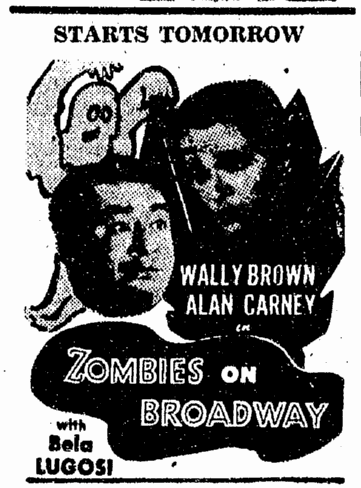 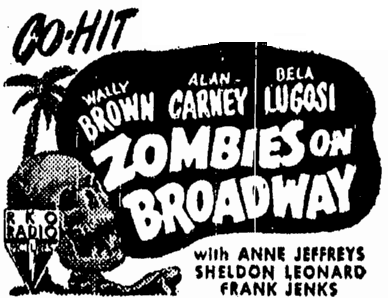 Those lads and RKO’s scenarists no doubt were trying real hard but “Zombies on Broadway” is no laughing matter. 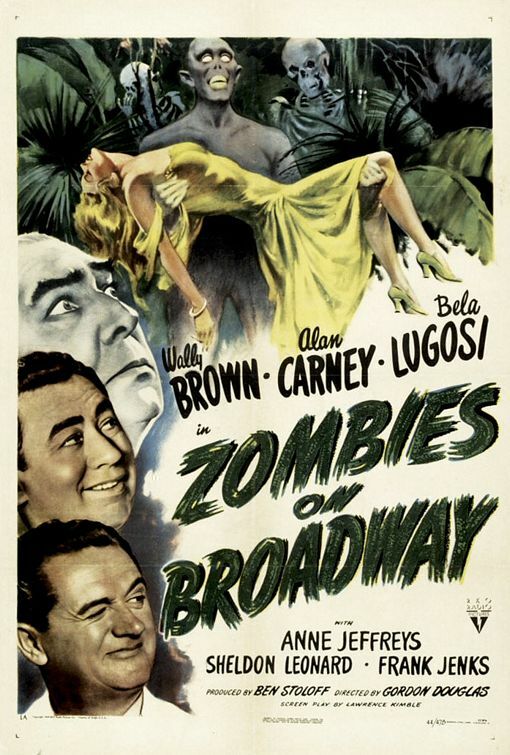 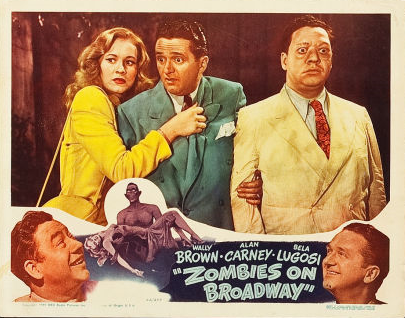 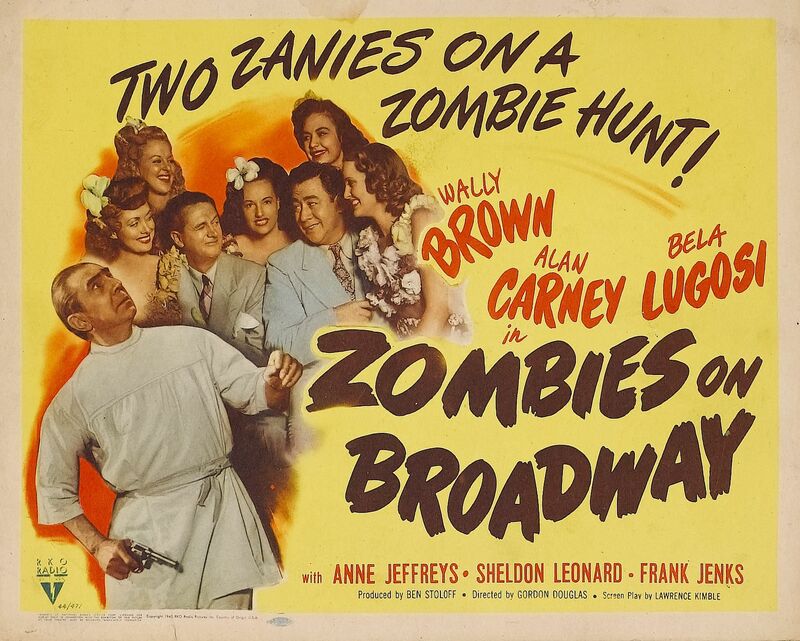 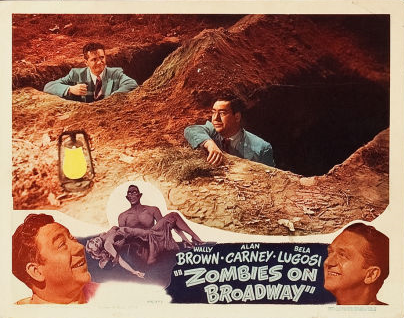 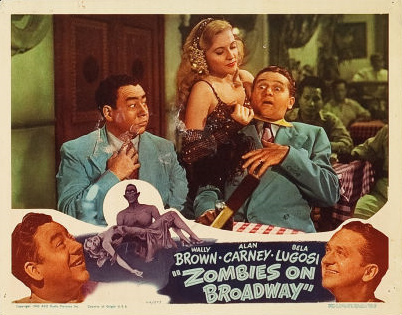 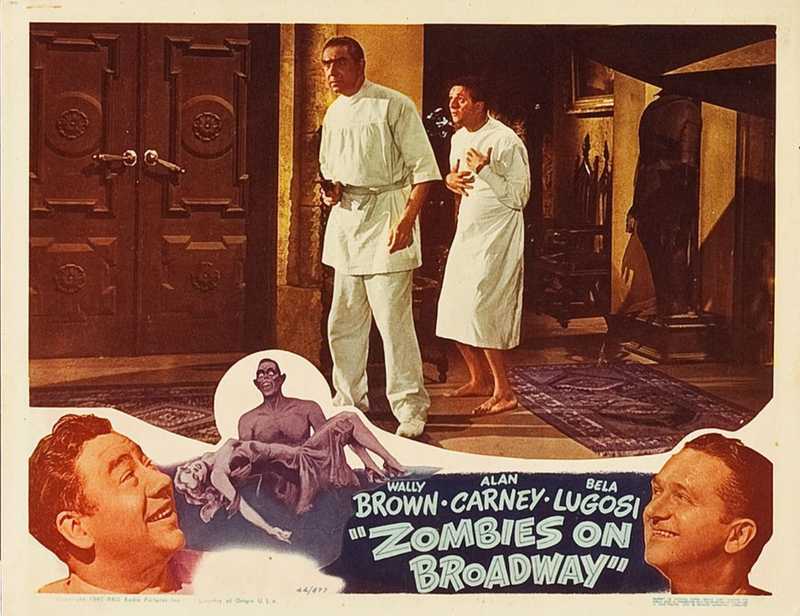 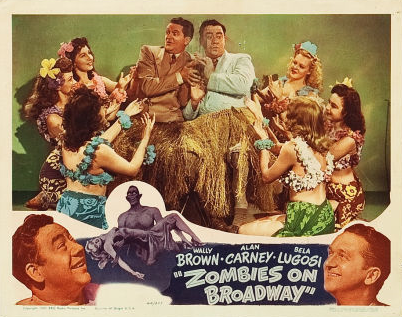 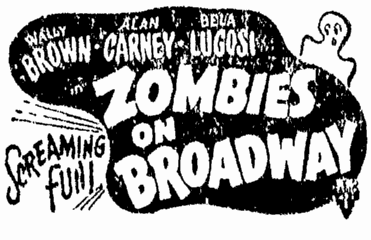 ZOMBIES ON BROADWAY; screen play by Lawrence Kimble; adaptation by Robert E. Kent; from an original story by Robert Faber and Charles Newman; directed by Gordon Douglas; produced by Ben Stoloff for RKO Radio Pictures.